BREAKING: Does Milwaukee Paranormal Conference Speaker Donald Schmitt Have the Smoking Gun on Roswell? Yesterday we announced our line up of speakers (www.milwaukeeparacon.com/speakers) for the Milwaukee Paranormal Conference, including keynote speakers Linda S. Godfrey, Noah Leigh, and Donald Schmitt. 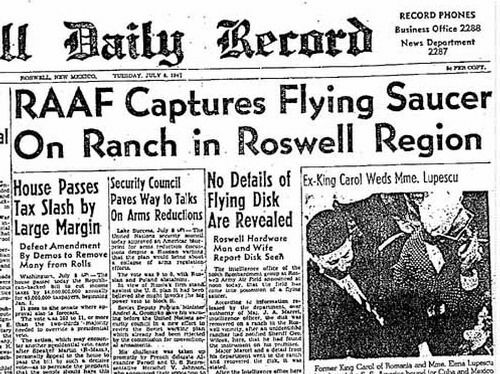 The latter also made news yesterday by announcing that he will be unveiling what could be “the smoking gun” on the Roswell UFO crash of 1947: the Roswell Slides. Schmitt, Carey, and astronaut Dr. Edgar Mitchell will be presenting the slides in an event that will be livestreamed in Mexico City on May 5, 2015, just one month before the Milwaukee Paranormal Conference. Are these slides going to be the incredible proof of extra-terrestrials the world has been waiting for? That is an answer I don’t have, but I’m very curious and excited to see what happens May 5 and then hear Donald Schmitt tell us about the case in person at his presentation here in Milwaukee. It will be a “slideshow” to remember!